High blood pressure can be caused by any number of factors in a person’s life or by many factors all adding together. However, the hard truth is that if you don’t control your blood pressure, it can lead to many serious medical conditions, including heart attack and stroke. By understanding the causes of high blood pressure, you can learn how to prevent your levels from exceeding the normal range and therefore promote in yourself and your family a healthier overall lifestyle. One of the major causes of high blood pressure is cholesterol. In most cases, a person with higher than normal cholesterol levels will also suffer from high blood pressure. This is due to the fatty deposits left on the artery walls from the cholesterol in your blood stream. 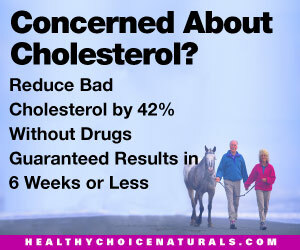 The body actually needs no cholesterol, since it produces enough on its own, but the foods we eat often introduce more into our body. When no more can be absorbed into the blood stream, the cells deposit fat onto the walls of the arteries. This fat turns to a hard plaque, making our blood vessels smaller and smaller over time. The same amount of blood needs to flow through these smaller spaces, creating a higher blood pressure. An unhealthy diet also causes high blood pressure in another way. When there is too much sugar in the blood stream. Glucose, or blood sugar, increases due to diabetes, in which the body does not produce the chemical that regulates blood sugar. Ingesting food high in sugar, such as most desserts, can also cause your blood sugar to increase, as can stress, hormone levels, and infection. When there is more glucose in the blood stream, your blood is essentially thicker, and harder to push through your arteries and veins, creating a higher blood pressure. 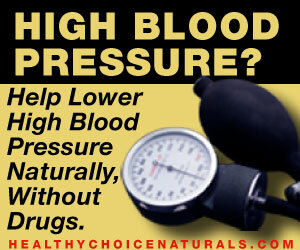 High blood pressure does not only come from an unhealthy diet, but can also occur due to drug intake as well. People who drink alcohol excessively, for example, increase their risk greatly of having high blood pressure. Caffeine is another drug that is proven to raise blood pressure, especially in combination with nicotine, which is found in cigarettes. Many other narcotics, especially those that are illegal in the United States, have also been show to increase your blood pressure.